Morrisons just levelled-up on their party food with the introduction of some brand-new, gluten-free, vegan mozzarella sticks. Providing food for a whole host of people with different dietary requirements has never been easier! 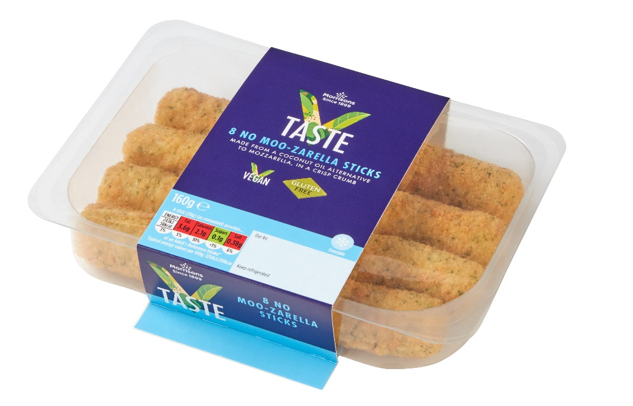 UK supermarket chain Morrisons have launched gluten-free vegan mozzarella sticks (or, should we say, No Moo-zarella Sticks), making party food that much more accessible for people with food allergies. A coconut oil-based cheese alternative makes for a melty middle, which is then coated in gluten-free parsley bread crumbs. They’re now available in most Morrisons stores at a RRP of £2.50 for a pack of 8, so it should be easy enough for customers to get their hands on some. The fact that the supermarket have opted to make these vegan snacks gluten-free as well just highlights the fact that alternative diets are really finding their place in mainstream culture. We’re thrilled at the efforts to make this new product as accessible as possible! These mozzarella sticks will make the perfect accompaniment to Morrisons’ new selection of gluten-free pizzas from Bonta d’Italia, available in-store and online.